Housing Houseboats, Snake boat race, a large network of canals and balmy environs, all have rendered Alleppey or Alapuzha an earnest sobriquet "Venice of the east". The town retains its alluring charm with kerala backwaters, lagoons and therapeutic Ayurveda. Being a center for coir carpet industry and prawn farming, Alleppey is a dream destination for travelers' who are in search of their rediscovered existence. 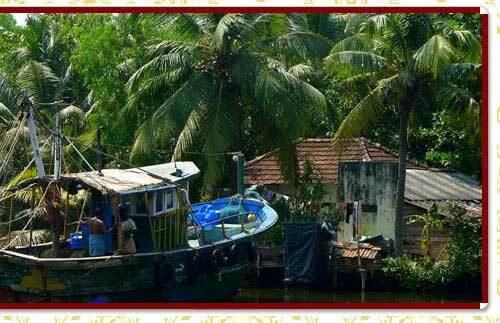 Main Attractions: Backwater's cruise & houseboats, Backwater village tours, Nehru cup boat race, Mullakal Temple. Geographic: Located on the Northern fringe Kerala, Alleppey is the entry point to the winding lanes of criss-cross water ways that form romantic backwaters. Famous for: Regatta of Kerala's 'Snake boats'. By Air: It is accessible from Thiruvananthapuram airport. By Road: Thiruvananthapuram is about three & a half kms off while Alleppey is 2 hours from Ernakulam. By Railways:Train station is about four kms from town. Alleppey is a pleasant town with an enviable setting of lush coconut trees & is surrounded by canals & waterways which serve as would roads in any other town. Moreover the town also has a distinct architecture along with several other attractions which can be enjoyed as part of Alleppey. A boat ride on one of India’s most unique tourist attractions in Alleppey’s Backwaters present to you a mosaic of lagoons, inlets, lakes & canals. The unique cantilevered Chinese fishing nets form the backdrop of families living at harmony with nature as you enjoy the vista of palm-fringed habitations, while savouring Kerala’s choicest sea-cuisine. You can also go on the eight hour long cruise to Kollam, which will drop you off to the ashram of the famous Matha Amrithanandmayi Mission. Other parts of Alleppey city guide would include Kumarakody temple & Karumadi Kuttan Buddha. 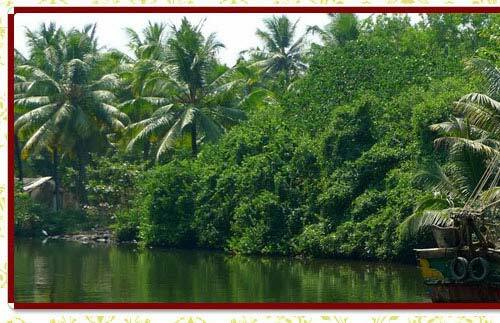 Another unique experience can be the tour of small village communities either on a small boat or a distinctive Kettuvallam. As a part of such excursions, you can observe the local artisans as they go about the traditional arts of coir making, building fishing boats or go harvesting for prawns. You can also partake of the local cuisine along with the fiery local liqueur called 'toddy'. Showcasing the long time tradition of Kerala, this famous regatta held on the Vemband Lake is held on the second Saturday of August each year. The long sleek Chundan Vallams or more commonly known snake boats vie each other for the coveted cup, with each boat rowed by as many as a 100 oarsmen. The accompanying ceremonies & fanfare hanker back to the age old sea faring martial traditions of Kerala. In addition to being the houseboat capital of India, a title it would share with perhaps Srinagar of the distant Himalayas, Alleppey has a fine tradition of arts & music. A testament to this is the splendid set of festivities held at the Mullakal temple where renowned traditional temple musicians perform as they would have done in ages gone past.